There’s nothing like the feeling of getting destroyed by someone you can’t reach. You may be wandering the jungle, low on health, only to be sniped by a stray Kog’Maw ult. Or you could be at the forefront of a teamfight, desperately trying to reach their backline, only to watch amazed as your healthbar melts away. Or you could be cornered into Baron pit, sighing as Azir walls you in and Kog’Maw demolishes you. 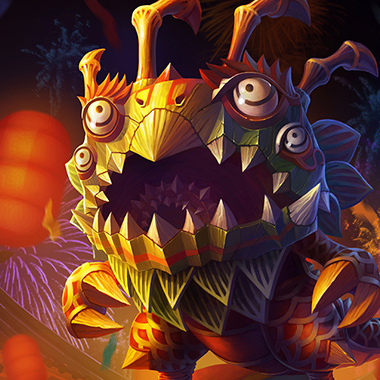 One day, you might finally reach up to Kog’Maw. You gaze down at him, salivating at finally being able to catch this creature. You hit him down for the last tick of his health and are content. Then you die. You forgot his passive.Kog’Maw is the marksman with the longest range in the game. He’s meant to be a backline turret, dealing tons of damage, but dying quickly if you reach him. Behind a strong frontline, he’s impossible to kill. However, if you do reach him, you still have to avoid his passive killing you! 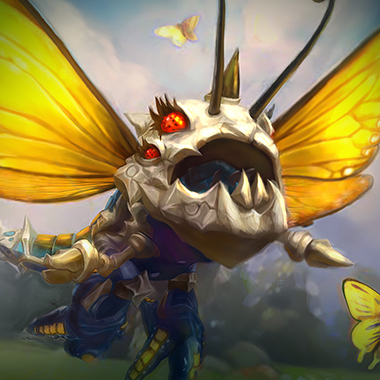 I’m going to teach you how to destroy this critter in lane so that he doesn’t destroy you in the rest of your life. After dying, Kog’Maw can walk around for 4 seconds. He then explodes, dealing true damage to all nearby enemies. 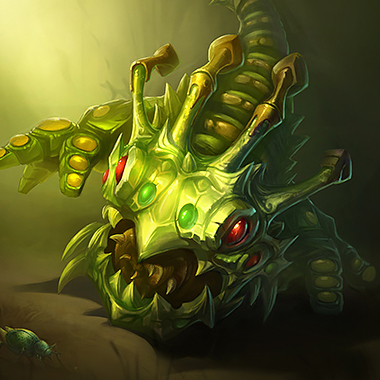 Kog’Maw shoots a glob of spit which deals damage to the first enemy it hits and reduces their armor and magic resistance for 4 seconds. 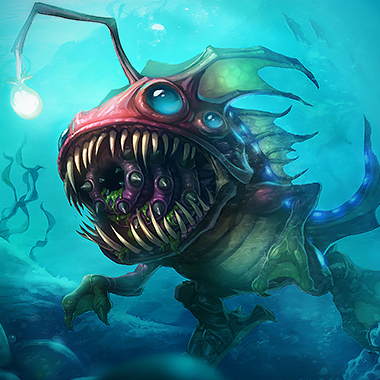 For 8 seconds, Kog’Maw gains bonus attack range and deals bonus magic damage on-hit. 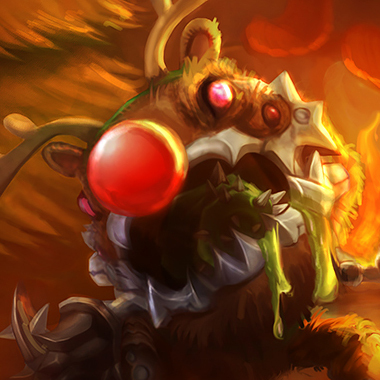 Kog’Maw spews a ball of ooze, slowing all enemies on it and dealing damage. If enemies stay on the ooze, it lasts longer. Kog’Maw launches a ball of acid into the air, which then drops on a target location. If it hits an enemy, it reveals them and deals damage that increases on enemies with low health. Kog’Maw is very weak when caught out. He needs to be behind a frontline, or partnered with a support. If you seem him alone, assassinate him. Kog’Maw has no mobility. Using champions like Jarvan IV or Anivia to wall him off works very well. 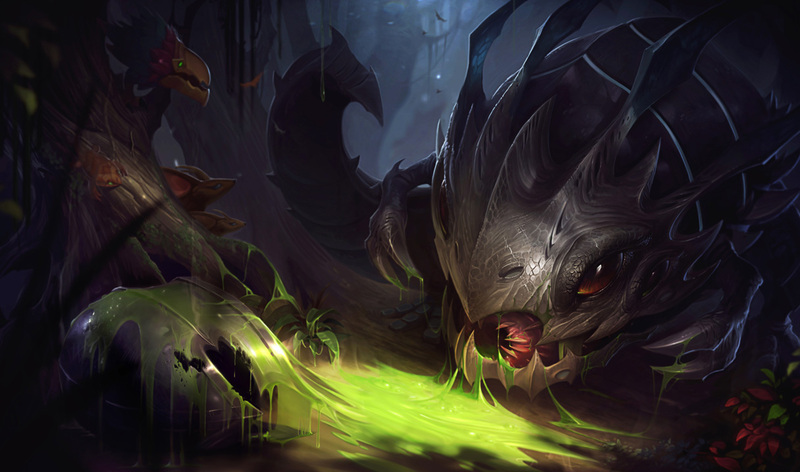 Kog’Maw relies on Flash to get out of sticky situations. When it’s down, you should engage on him. Kog’Maw’s Bio-Arcane Barrage does magic damage based on maximum health, which means he can shred tanks quite effectively. Dodge the Caustic Spittle in order to stop him from demolishing you if you’re a tank. In lane, Kog’Maw has a fairly strong level 2 power spike. If you want to get an early kill, wait until you have a few levels. 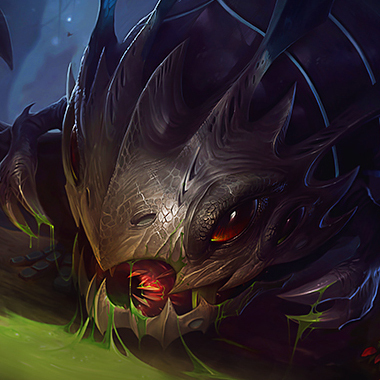 Kog’Maw is very susceptible to ganks, but be wary about diving him. 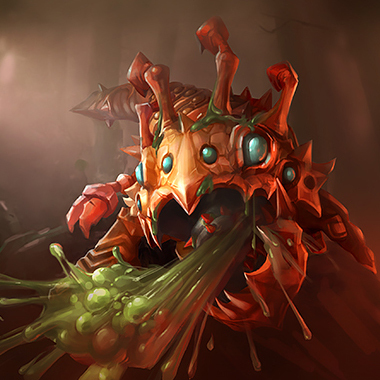 His Void Ooze has a considerable slow attached, so you may be stuck under the turret. Kog’Maw’s ultimate reveals you, so if you duck into a bush he’ll still be able to see where you are. 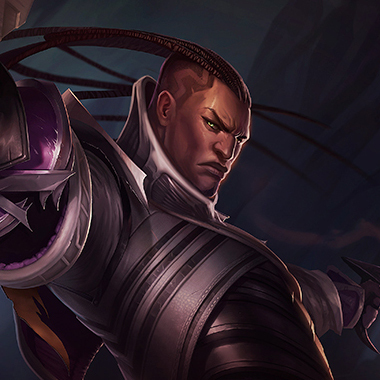 You outrange him at early levels, and with a strong CC support like Alistar, you can perma-CC him until he dies. Push him under turret, then harass him there. You can stun him, dodge some of his attacks with invisibility, and can burst him. Wait until 6 to trade heavily. 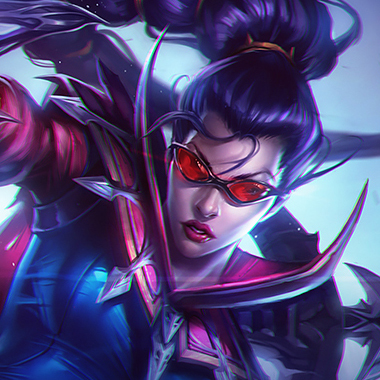 Go for the crit Vayne build (Infinity Edge, Statikk Shiv) in order to one-shot him. Kog’Maw does a mixture of physical and magic damage, although he’s primary physical. Items like Guardian’s Angel work well at countering him. 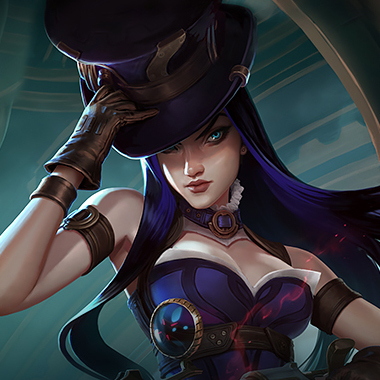 If he executes you with his ult, you can just respawn. Items that can slow his attack speed are also quite strong, like Frozen Heart or Randuin’s Omen. Finally, items like Rylai’s or Frozen Mallet can help you keep him in a place where your team can kill him.